After Spock and Lt. Saavik got to know each other much better in Star Trek III: The Search for Spock, you could have been forgiven for thinking that something would come of it later on. 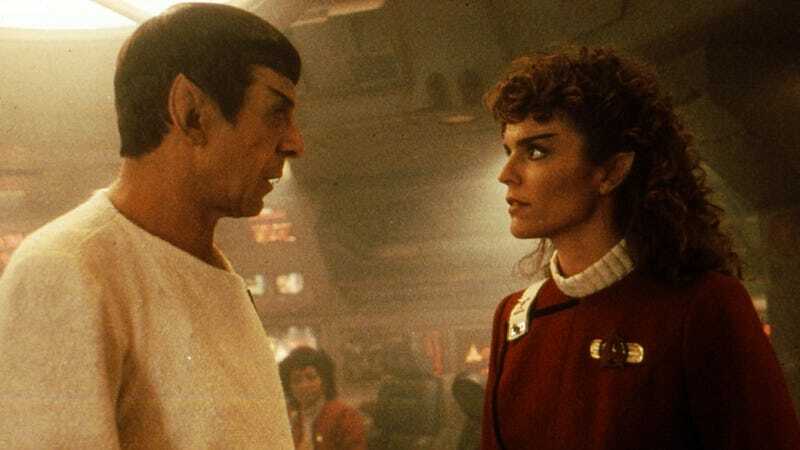 And indeed, Robin Curtis says in a new interview that she expected a whole "Saavik is pregnant with Spock's baby" storyline in Star Trek IV and the following films. "They will not be following the storyline that we had been led to think they would," which was that Saavik would be pregnant and there'd be this whole connection between her and Spock. Lo and behold, all this hope that there might be greater involvement for the character turned into those few lines.